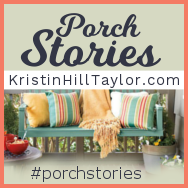 Time for another Wednesday Porch Stories linkup hosted by Kristin Hill Taylor; time for Tales as Old as Time. As she reflects on several cinematic updates and remakes, Kristin admits, "I didn't expect to love remakes of movies I watched as a kid. Like Annie. Or The Parent Trap. And now Beauty and the Beast. In all three instances, I love the new version – the version my kids will call their own – better than the one I had always known. I surprise myself because I'm usually not so quick to embrace change." If you attend church, you may have sung the old hymn "I love to tell the story ... of Jesus and his love." Several times I've mentioned the Sunday morning class I facilitate at the church I attend. We sometimes call it bible study, sometimes adult forum, sometimes Sunday School, but we mostly draw upon at least one of that day's scripture texts from the Revised Common Lectionary, so ideally our discussion becomes God's living word to us for this place and this time. More often than not we discuss the gospel account for that Sunday, those two thousand year old stories that often refer to events thousands of years older—tales and chronicles as old as linear time itself! I've round tripped through the 3-year long RCL quite a few times; even if I hadn't, I'd still remember Jesus' post-resurrection appearances. We speak of post-resurrection appearances, but they weren't simply someone or something that looked to be Jesus; after his death and resurrection, people experienced Jesus of Nazareth the Christ of God physically right there and then on earth in the flesh as post-resurrection realities. Most likely you know scripture is full of do not fear! – don't be afraid! – fear not! and related admonitions because humans tend to react in fear or apprehension—sometimes even to something as seemingly unthreatening as new versions of favorite films. Jesus' disciples even feared the resurrected Savior himself! The third Sunday of Easter that's on the calendar of the church's year of grace in four days features a pair of travelers walking along a road about seven mlles from Jerusalem on the evening of the day of resurrection. Only the gospel of Luke [24:13-35] contains it, yet it makes the RCL schedule for Easter evening in all three lectionary years as well as being the appointed gospel reading for Matthew's year A and Mark's year B. Crucified, risen, scarred yet fully alive, Jesus of Nazareth joined and conversed with the guys along Emmaus road. Yet only when they later experienced their companion along the byway replicating history by taking, blessing, breaking, and distributing bread did they recognize the stranger as Jesus. 33That same hour they got up and returned to Jerusalem; and they found the eleven and their companions gathered together. 34They were saying, "The Lord has risen indeed, and he has appeared to Simon!" 35Then they told what had happened on the road, and how he had been made known to them in the breaking of the bread. Sufficiently free of fear by then to venture over to Jerusalem to repeat the ministry Jesus modeled by turning the world upside down? 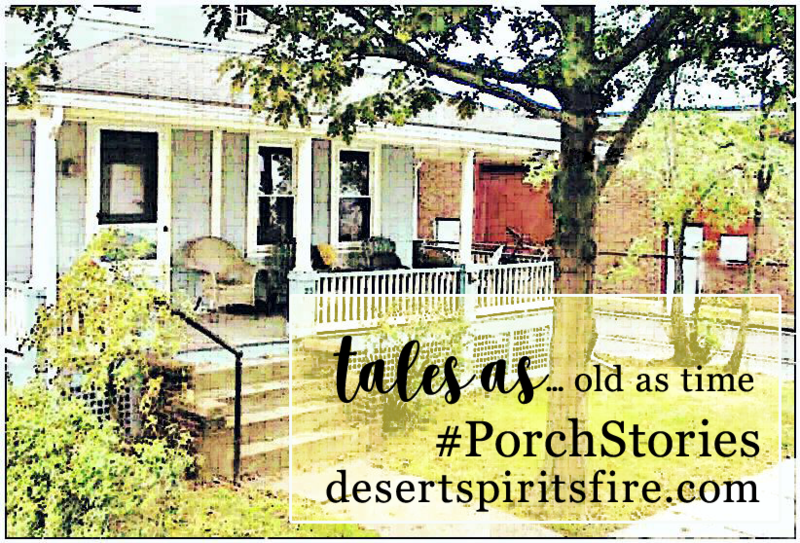 During the Great Fifty Days of Easter the lectionary brings us stories from porches, marketplaces, homes, town squares, house churches—all those places people go to and interact with other humans. Although worship leaders and preachers who follow the lectionary still sometimes choose their own passages in order to focus on special observances or major world events, the first scripture reading appointed for each Sunday during the Easter session is from the book of Acts. And you know what? All those Acts of the Apostles' stories about all those places show us people who are bold, outspoken, and fearless as they proclaim the love of God poured out onto all creation in Christ Jesus. What's the difference? The person and presence of the Holy Spirit pervades Luke's gospel, yet the evocative rendering of the Day of Pentecost with fire and flames in Acts 2 is another pericope or scripture selection unique to Luke, and the rest of the apostles' acts happen in the wake of that Day of Pentecost. Kristin admits she's usually not quick to embrace change or newness; like many humans, I alternate between being highly flexible and spontaneous as in, "Of course I'd love to do that! I'll be ready in ten minutes," and mind-mindbogglingly inflexible as in "I can't possibly consider such a thing without at least ten days' notice." New versions of movies or TV shows, a newly illustrated edition of a book or a redecorated room don't turn our worlds upside down in terms of changes, yet they still represent newness and difference from what's already over and past. Jesus went ahead of his disciples to Jerusalem, to the center of the known world of his day. The Crucified and Risen One goes ahead of us to the next place God will call and send us. Not quick to welcome change? Do we still fear? Dare we not trust the unexpected surprise of resurrection? As we study scripture on Sunday mornings and on our own during the week, all of us hope to relate the texts to our own circumstances well enough to start trusting the Holy Spirit of God more and more, to open the biblical narratives wide, deep, and high enough to make them God's living words to us. The old old story of Jesus and his love we sing about in "I love to tell the story" is a tale as old as two thousand year's worth of time plus more millennia not recorded in any history book. We think we know the rest of the story because all of scripture is full of God resurrecting life from death, but we really don't and won't know what God will enact in our cities and communities, along our sidewalks and freeways (in our own hearts!) until we follow Jesus to the Jerusalems that are the centers of our worlds and lives, until we follow Jesus' call and begin turning those worlds upside down and inside out in the Spirit of Pentecostal fire and freedom!